As some of you may be aware, TheBluesBlogger site experienced a technical glitch during an update to the latest version of WordPress 2.6. (My platform of choice that operates this site) This is not a technical blog, so I won’t be getting into any blogging platform jargon… Many of you who own their own blogs fear if things go wrong. And when it does, you all know the feeling. I must have sounded like Garry Shandling on the WordPress support forum. My whine was so great that I think the first response to my post was in 18 seconds … I must say that throughout the whole experience I learned a lot. The support team was incredible. One of the members on the forum went above and beyond and totally fixed my site. It was my birthday and after several crappy days my mind was finally at ease. I’m so grateful that I wanted to write something on the site for them. But how could I weave this one? Then I discovered that the new platform I upgraded to had a codename called Tyner. was born in Philadelphia on December 11, 1938. The oldest of three children, he was encouraged to study piano by his mother. Beginning his studies as an early teen, it didn’t take long for music to become his central focus. McCoy studied at the West Philadelphia Music School and later at Granoff School of Music. Thelonious Monk and Art Tatum would become McCoy’s major influences while learning his trade. Tyner is best remembered from his days with John Coltrane. He first met Coltrane when he was 17 in Philadelphia and their rapport developed immediately. Tyner participated in some landmark Coltrane recording such as Africa Brass, A Love Supreme, and My Favourite Things. He also recorded many of his own albums for Impulse which included the classics such as “Inception”, “Night of Ballads and Blues”, and “Live at Newport.” And then later for Blue Note, which enabled him to feature his rich piano sound to amazing effect. The list of accomplishments from this great pianist is vast. 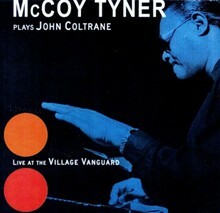 You can get more information regarding McCoy Tyner from his website by clicking here. Recently he has achieved a rejuvenated appreciation as a major player in the international jazz scene. His distinct and dynamic style has inspired a whole new generation of musicians, fans and even software developers around the globe. have dedicated the 2.6 version of their blogging platform to this great musician. As a blogger who loves using the software for TheBluesBlogger site, I thought it would be cool to make mention of them and their fine support team that helped me get this blog back on track. One thing I should mention… If you’re using WordPress and need assistance, please read through the FAQ’s first. These are very busy people and most questions can be answered by simply reviewing previously written posts. This is the best way to resolve problems that you may be currently having. TheBluesBloggersWife, or otherwise known as TBBW, wanted to thank the team at WordPress as well. I think she was getting tired of seeing me drag my rear around the house. Tonight we are going out for my official belated birthday dinner and these guys certainly made a difference in brightening up the weekend. Good show… I look forward to future releases of this great blogging platform. ← TheBluesBlogger’s Birthday Today: And We’re Back In Business!!! All I can say is … phew ….